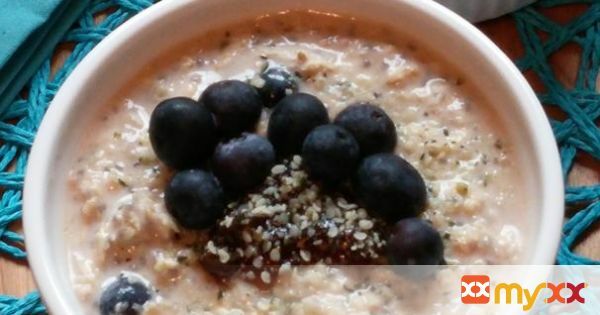 A great make ahead breakfast that's a powerhouse of nutrition packed in a bowl. Perfect for those "on the go" mornings when you have to take breakfast on the run!! Nutritious, delicious, quick and easy. Breakfast doesn't have to be complicated. 1. Mix all the ingredients (except for the toppings) in a bowl. 2. Cover and place in fridge overnight. 3. Scoop into bowls and top with jam and hemp hearts. 4. Enjoy....or take it on the go! !